Classroom Dojo is an free app many teachers use to assist build and maintain a classroom community. 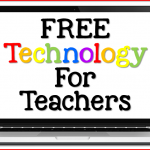 Many teachers use it as a classroom management tool, like a techie updated version of the formerly popular clip chart system. Teachers can monitor specific behaviors, allowing students to gain or lose points. The parents have access to their child’s points as well. Teachers can also communicate with parents using the messaging component and teachers can share photos of classroom learning using the stories section of the app! 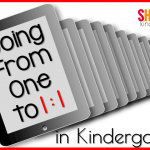 This year I am working with a new team of Kindergarten teachers at my new school. 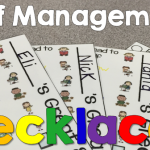 One of our rules is to all use the same classroom management system. We voted and Classroom Dojo was voted as the first choice. I had to say goodbye to my clip chart and embrace the Dojo. Since my school does PBIS, I wanted to find a way to use Classroom Dojo with the PBIS ideas. Once we were full swing into Dojo, I tried to focus on using Classroom Dojo for positive moments. My student would mostly earn points. One draw back was the communication with parents. Parents didn’t seem to understand the times their child was not earning points because they didn’t know how many were given out each day. Additionally, points would get reset every week. This seemed to be defeating to some of my students who worked hard. Lastly, I did not like how the number of points somehow labeled the students to everyone, including that student. To remedy these issues, I attempted to set a goal of 20 Dojo a week. Students who earned this number of Dojos would earn an bonus chunk of extra recess. 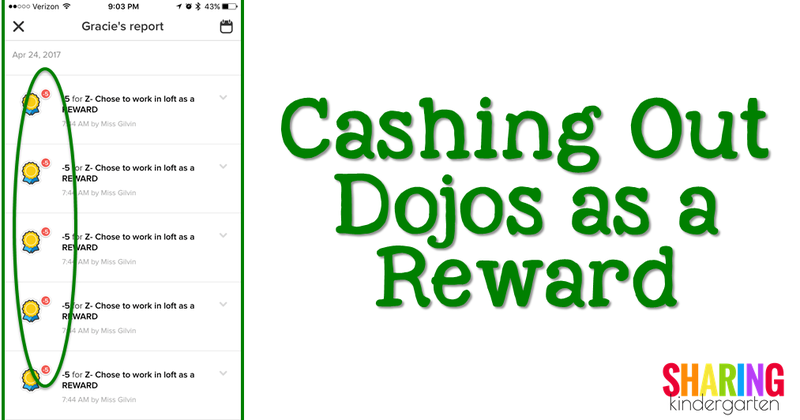 This idea gave parents the idea of how many Dojo were earned in a week and rewarded students who achieved that goal. Sadly, I felt my students who really needed more recess were often the ones who were not earning it. Again, points would be reset every week and the sigma of good and bad students seemed ever present. I went back to the drawing board again. My parents wanted to know when their child was not earning points. I found myself being more negative on Dojo than I wanted to be. It is draining to focus on wrong choices. I also felt like parents were knowing too much. If you had a well behaved child, the parents were loving me. 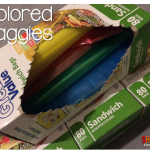 BUT if you had a child who is learning how to make good choices, I felt like it was overwhelming the parents with negative actions they couldn’t control through the school day. I knew I had to find a way to make Dojo work for ME and my students. Most importantly, I wanted my students to earn points for making good choices so I could reward students for the good things they did. 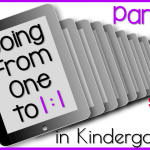 (That PBIS idea coming back again.) I did not want to keep resetting points nor I did not want to focus on negative choices. My goal was to communicate with my students AND parents in a positive way. Next, I set a point value for each reward. I set each reward in denominations of 5s. When the class and I went over each reward and point value, we also talked about the rules. Here was some of the rules we set. If you get to take your shoes off in the classroom, you must have socks on and you have to know how to tie your shoes to get them back on. (Motivation to shoe tying was a welcome side effect here!) If you get to choose your iPad game, you only get to chose that activity during Daily 5 or Literacy time, not all day. Your stuffed animal has to stay in the classroom and it must fit in your cubbie so it can go in your cubbie when we are leaving the room. The most important rule was that you could only cash out Dojos in the morning. This was huge because if a student earned enough Dojo to take their shoes off after lunch, some children would want to run to put their shoes by the door in the middle of a learning activity. Then, we posted the rewards and their values in the classroom as well as in an email to our parents. Everyone knows the rewards and how much they “cost” to earn. At the end of that school week, I did not reset Dojo points. Instead, starting on Monday morning, students were allowed to redeem their points they earned. I made sure my parents understood that loosing points may mean that their child in redeeming points, not getting into trouble. Furthermore, I also had to go into Dojo to add spots to take away points per reward. 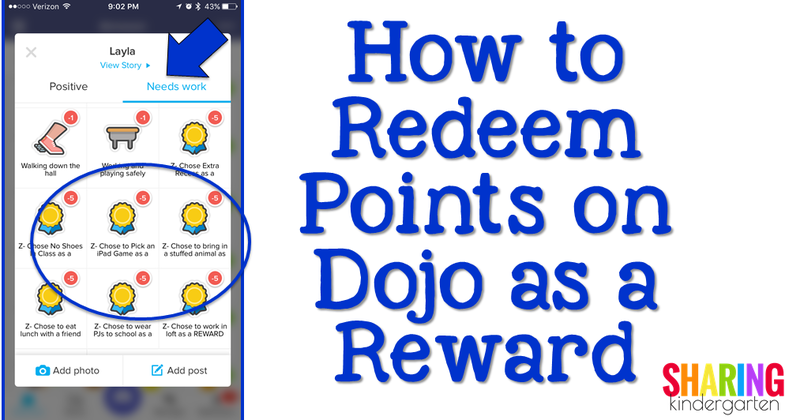 I used my computer to go into Classroom Dojo and under the “Needs Work” category, I added the reward spots so the app would deduct points. Dojo puts their titles in ABC order. I added a “Z” to the front so these areas would go at the bottom. I also added the word “REWARD” in all capitals so parents would know this was a reward cashing out and not a punishment. 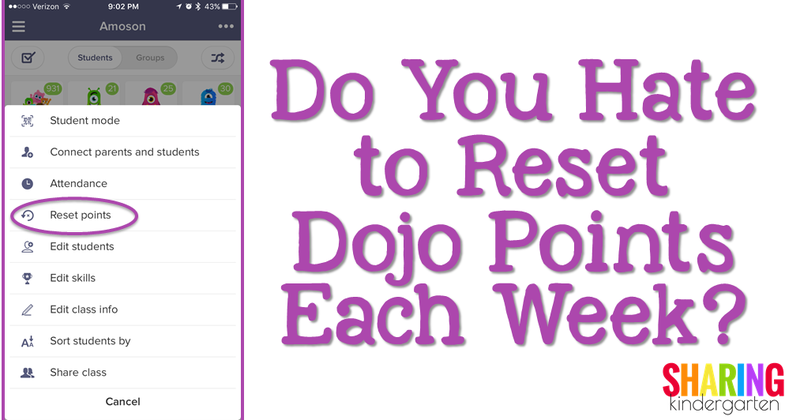 Dojo allows you to place a value on points earned or lost from 0-5. Since all my point values were in 5s, I gave each of these a -5 value, the maximum allowed from Dojo. In my classroom, students redeem 15 points to choose their own iPad game. Since Dojo allows a -5 at a time, I have to deduct 5, then deduct 5, then deduct 5 again to show this value of -15. This is slightly a pain for the teacher, but that is the best way I found to make it work. I do reset points so students can save up for something bigger or cash out points often for something smaller. You can see the image above for working in the loft cost 25 Dojos. You can see how it shows up for the parent. 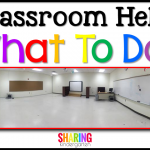 I hope this tip helps you to use Classroom Dojo like never before! I hope it creates a great atmosphere for your students, their parents, and yourself. Love this idea. Going to share it with my principal. Thank you! 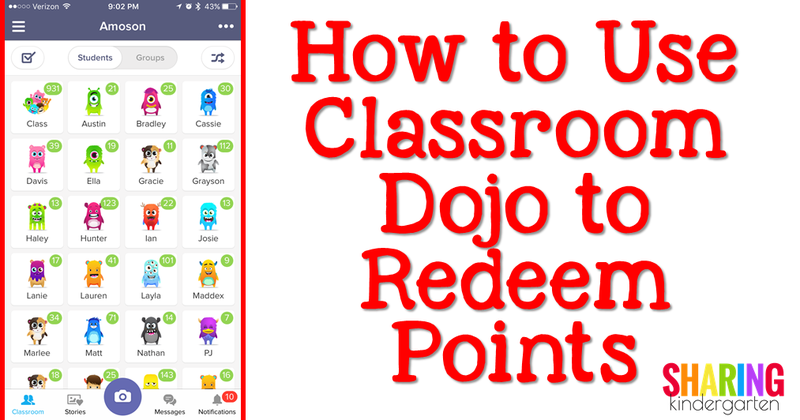 I am just starting with Class Dojo and could not figure out a good method for redeeming points that didn’t create more work for me! This is perfect! Thank you so much for sharing! I have been using Class Dojo for two years now and like you, had the same frustrations with the points. I can’t wait to try your method for next year! This is so great! 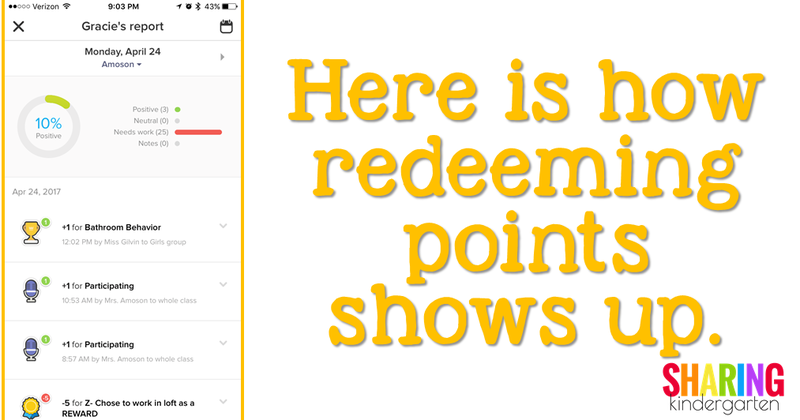 I always struggled with how to reset points but keep up with who had earned what rewards! Thanks for sharing! While I love the idea… with my limited expereince with Dojo… it would seem that taking away/redeeming points would effect their weekly behavior percentage.. aka the red/green donut. Is there something you do to prevent that from happening? Or do you just not use that report in Dojo. I’m not a fan of dojo but the more I read on it the more I believe that it is not being used correctly. The lack of verbal communication is what bothers me . Maybe if points given with a high five or a pat on the shoulder to acknowledge to the student is an idea. Informing parents on how student get points and have points taken away would be nice. I asked to op out of dojo but this is part of their grade and give the chioce of red or green meaning a good day or bad day no chance in redeeming points for better behavior. So I’m stuck with this system. Thank you so much! I was struggling to figure out how to keep my students motivated with class dojo. I will absolutely start this system as soon as we get back from spring break! I am so relieved to find something concrete to help them because some students are racking up points and I really didn’t have a way to reward them well.